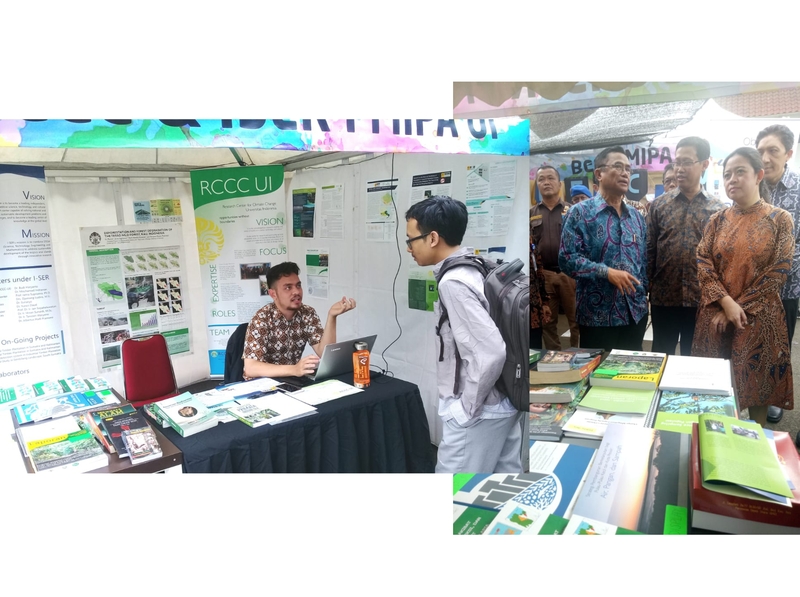 In January 16, 2019, Research Center for Climate Change University of Indonesia (RCCC-UI) have the opportunity to showcase our works in Science Expo 2019, that included in the event series of Dies Natalies Faculty of Math and Science University of Indonesia. Our stand shows some publication of finished and ongoing project, displayed product (e.g. books written/authored from RCCC UI ; Jatna Supriatna, and other report), and brochure of our organization ; Research Center for Climate Change University of Indonesia (RCCC UI). Visits were made from different backgrounds of people ranging from high school to college student and also honorary visit from Puan Maharani, Coordinating Minister for Human Development and Culture.